Pam Aister lost her job as an elementary school teacher after she stuck up for one of her fourth-grade students who was being bullied. An Arizona teacher was canned for defending a fourth-grade boy from bullies who called him the N-word, “monkey” and “crackhead” after one bully’s mother complained, the tormented boy’s family and other community members say. 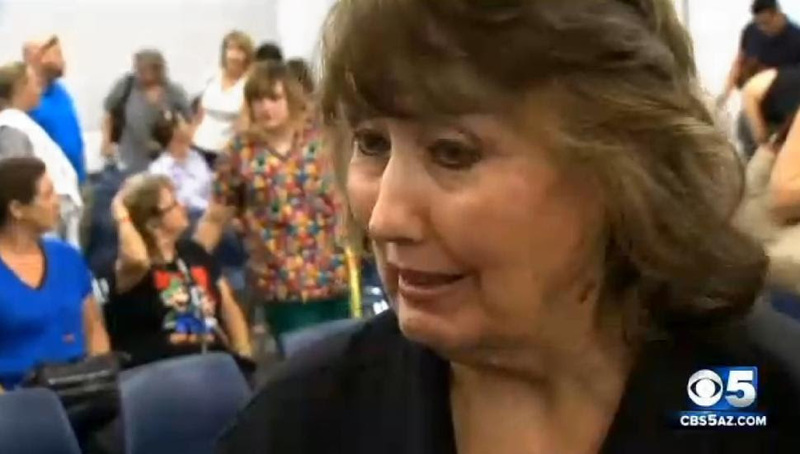 Pam Aister, a 25-year teaching veteran, was booted from her classroom at Four Peaks Elementary School near Phoenix after administrators said she was too harsh on a group of boys who’d been picking on 9-year-old Malachi Gillis. School administrators said a mother of one the alleged bullies complained. If she was fired, there must be two sides to the story.